Zuora has been the champion of the subscription economy, as a differentiator for companies that sell products as services and have to bill and collect monthly rather than engaging in a single one-time transaction, since it was founded in 2007. Few people realize the complexity of running such a business where customers may pay little up front but more over time and the billing, finance, and commerce implications can be profound. Keeping it straight is the company’s niche and in the process it compiles huge amounts of data that it is now analyzing (anonymously) to spot trends in its industry. The Subscription Economy Index (SEI) is its attempt to glean new economic information from this market’s data. The combined annual revenue of companies in the SEI is more than $9 billion, a figure that has increased 20 times over the past five years, and there are 10 times the number of companies included in the SEI since 2012. B2B subscription businesses grew fastest: 22% per year for 2015 and 2016; in that time B2C grew 16%. B2C churns more annually (31%), than B2B (24%). This analysis is important for subscription companies and may be important for the broader economy as well. It’s tempting to say these are small numbers and a small base but that might be missing the point. It’s true that subscription revenues are small in comparison with businesses that sell whole products and collect for them up front. Nonetheless it’s easier to grow revenues when you’re a $100 million company than it is when you have revenues of a billion. So the comparison with the S&P 500 strikes me as less interesting. A better comparison would be among peers. On the other hand, subscription revenues are smaller in the present but they can be substantial down the road, one reason subscription vendors track customer lifetime value. This is exactly the point that SEI is meant to support. For subscription businesses to have a future they must be diligent at understanding customer activity and needs, which is what the index supports. With so much at stake, a subscription company cannot afford to miss customer signals that could indicate brewing dissatisfaction as well as enhancement requirements or other needs. Subscription vendors like Zuora, have become adept at reading tealeaves and forecasting the future of their businesses and this might be the greatest revelation for the general economy. Subscription companies have generally displayed greater awareness of customers and their requirements and as the subscription economy has spread they have educated consumers about what can be reasonably expected from vendors. This has placed conventional vendors at a competitive disadvantage by raising customer expectations of all vendors. Finally, the churn numbers represent a broad sample but they should not be praised. Top performing subscription companies operate with churn around ten percent or less. These churn numbers show the reality that it’s hard to get to that point. But this might turn out to be the most useful bit of information to other subscription vendors. Beating these churn numbers should be on every manager’s mind. Zoura announced a funding round worth $115 million today including investors Wellington Management Co., BlackRock, Premji, and Passport Capital as well as some investors from earlier rounds. Calling it a mini-IPO, CEO Tien Tzuo said the company will behave more like a public company from now on as we await the inevitable reality of an IPO. Zuora invented the subscription billing, payments, and finance market about 8 years ago and has been riding a wave it calls the subscription economy. Briefly that means an economy that is rapidly adopting subscriptions as a business model which makes all the sense in the world. Subscriptions as we know them started with companies like Salesforce.com which began delivering software as a service and at the time, this was considered an advantage because so many larger software firms were getting hung up on software implementation. 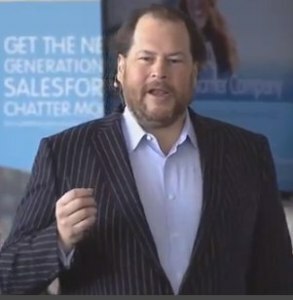 You could easily spend two to three times the million-dollar software price tag on getting the software to work which is why Salesforce’s original and still to be topped tagline is “no software.” Tien Tzuo learned a lot at Salesforce as its 11th employee gradually rising to be CMO and chief strategy officer before leaving. Things have a habit of morphing. The Old Stone Age morphed into the New Stone Age and here we are. Likewise, the subscription economy has morphed into the subscription culture, which is part of the reason Zoura could raise that $115 million (on top of the roughly $100 million it already raised) to begin with. The subscription economy delivered a fact to the market; the subscription culture is what happened when customers figured out how to leverage that fact. Sure, they learned that they could pay monthly for things that normally cost millions of dollars all at once enabling small businesses to afford the same things their larger competitors had and this leveled many playing fields. But it also meant that no customer had to feel stuck in a bad fitting relationship any more—it’s too easy to leave one subscription and get another. Customers were empowered by this new knowledge and it has led us to a new model for business—not the same as a business model. Relationship Business Management or RBM is what Zoura is calling it and the idea has legs because it encompasses the reality that subscriptions are now central to the relationship and that CRM as we knew it has to account for this. RBM starts by assuming subscriptions and leverages data about customers—their use habits, payments history, lifetime value, and many other factors to drive outreach and interaction well beyond simple purchase and sales issues. That’s where I believe the culture part comes in. Even vendors that do not offer subscriptions are beginning to behave like subscription providers for the simple reason that the model is more customer friendly and in a competitive world no vendor can afford not to cater better to customers. Zappos is a vendor of shoes and not a subscription company but you’d never know it from the way the company behaves. Their body language suggests a company focused on customer lifetime value and working to get customers to come back for the nth time. They’ve internalized subscription culture from their customers and exude it back. Customers love them for it. Lots of companies are looking more like subscription companies today, which is why the future looks bright for Zoura as it begins leveraging its new cash to spread the word about subscriptions and RBM to a larger audience. Tien Tzuo, CEO of Zuora, gave the speech of his life today, one that Satya Nadella, CEO of Microsoft should study for its content if not its style. Tzuo’s company Zuora, started the subscription billing market back when billing was a big and the only deal that SaaS and other subscription companies had to think about. But over the last few years Zuora has built out a product line that supports a vision of a changed marketplace dedicated to the values of what futurist Jeremy Rifkin calls the “collaborative commons.” In the commons it is more blessed to borrow, share, rent, and, yes, subscribe, than it is to buy, own, and hold. Tzuo has been the leading proponent of an economy based on subscriptions and today’s speech will be seen as a turning point that took the subscription economy to the mainstream. If anything it was a victory speech, a time when Tzuo and his band of brothers and sisters could say, “See it worked.” But it was also a time that rededicated Zuora and its people to a greater vision of a subscription culture. Tzuo acknowledged as much even if he hasn’t used the words yet when he announced three new directions and offerings that will enable subscriptions’ glide into the mainstream. The three major initiatives which will be detailed in tomorrow’s keynote include a Subscription Academy to teach the basics of subscription business to anyone who wants to engage including huge enterprises and startups as well as their people; subscription business blueprints which will help conventional businesses the clear the sizeable hump that all existing companies face in getting their conventional models into subscriptions; and finally, a community of subscription ninjas who will help to do what communities do best — share ideas, how to information, and paths to success. Tzuo also introduced a new term for our business, RBM or Relationship Business Management that unites back office subscriptions with front office customer centricity, which has been a long time in coming. We saw a glimpse of this in Zach Nelson’s keynote at SuiteWorld a few weeks ago. NetSuite, Nelson’s cloud ERP company, is now making moves to inject back office data into the customer centricity, customer engagement mix but for my money, NetSuite is still a bit more tethered to conventional ERP, and Zuora is all about new era accounting and finance. Both get to roughly the same place given enough time but in my view Zuora might have an edge that synchronizes with ERP, even NetSuite but is not ERP. Regardless, juxtapose this with Microsoft and an article from yesterday’s online Wall Street Journal in which Christopher Mims offers five advice points to the Microsoft CEO under a headline of “Advice to Microsoft’s Satya Nadella: Be More Brave.” I can hear Sara Bareilles warming up right now. Microsoft is a company squarely in the zone Tzuo spoke of in his keynote, old by contemporary standards and more important, old by business model. Dealing with products sun setting and customers migrating away to other vendors; a company with a diverse product line that has lost its theme. For me the most dramatic part of Tzuo’s keynote came when he invited David Wadhwani, SVP and GM of Adobe on stage to talk about his company’s gut wrenching switch moving its wildly popular Adobe Creative Suite to a subscription model from a conventional software licensing model. Talk about being brave, Adobe isn’t even a Zuora customer that I know of, Tzuo was swinging for the fences looking for the best ideas he could find and it was a good move. The drama came when it was disclosed that Wall Street had an instant allergic reaction to that particular bit of Adobe news and investors began voting with their feet. Actually the drama came just after that, when the markets had closed and NASDAQ called the CEO to ask if it should suspend trading in the stock next day. That was enough to make anyone do a rethink but the answer was not simply damn the torpedoes, that would have been too easy. The answer was transparency and communication with employees, customers, and the financial press to deliver a message and a vision of a greater Adobe, one that was focused on customers and a better value chain with solid roots in the subscription culture. It was one of the best stories I’d heard at a keynote and I’ve been covering these things for a while. Heck, my career as an analyst goes back to the foundations of the subscription economy, come to think of it. At any rate, that’s the message Nadella and most conventional business leaders need to hear, internalize, and evangelize. It’s the message of a new economy, new ways to market, sell, and service but also, new and more collaborative approaches to dealing with customers. Every recovery is led by a new, new thing and I think the subscription culture provides that. Two numbers to keep in mind: $4.8208 billion and $5.25 billion. The first number is the 2013 revenue reported by Nash-Finch. According to Wikipedia and Fortune magazine, the company is based in Edina, Minnesota, near Minneapolis. It is involved in “Food distribution to private companies, primarily independent supermarkets, and military commissaries; and the operation of retail stores,” according to its Wikipedia page. According to Fortune, the company was number 498 on its list of 500 largest American companies in 2012. In 2013, it ranked number 500. The second number is the low end of the fiscal year 2015 guidance just offered up by Salesforce.com in a conference call with analysts and a press release from earlier this week. If you can do a little math and draw a straight line or two, this data would suggest that a year from now Salesforce will occupy at least the number 500 position in Fortune’s vaunted list. But keep in mind that there are other companies out there with similar stories. These measures are a testament to the power of the subscription model and one reason I have been such a fan of it. Subscription revenues get recognized as they are billed or, if the revenue is deferred, each month when the bills go out, the customer’s balance is dinged (that’s a technical term). Deferred revenue refers to cash on the books and in the bank that will be dinged. Unbilled deferred revenue refers to cash under contract that has not been either billed or collected because it is accounted for in a future fiscal year. Think of it as ding-able in the future. No matter how you slice it, Salesforce has a lot of momentum with most recent Quarterly Revenue of $1.15 Billion, up 37% Year-Over-Year, a forecast that is amazing, and lots of cash in the bank. These results and the forecast show what a good job the company has done in building a repeatable business and the power of the subscription model when done right. I don’t think there will be any escaping the speculation about the Fortune 500 this year, which might put a little pressure on everyone at One Market Street in San Francisco. But by now, they’re used to it. I have been writing about the subscription economy for five years and I have enjoyed my ringside seat following this latest and most important disruption of our time. The subscription business model, and not CRM per se, is the disruption that got Salesforce going and changed the front office software industry entirely. Today we’re well beyond software as a service (SaaS) because just about everything you can think about can be delivered as a service, though some things may be best left out. Commodities like sheet steel might be one of those things to leave alone except that if you look at the supply chain and the just in time inventory approach that commodities producers all subscribe (no pun) to today, you realize that manufacturers subscribed to sheet metal services long before the term was coined. Give some credit here to the Japanese who pioneered just in time, which I think is the grand dad of subscriptions. The subscription economy and the transformations it is causing in our society have important down stream effects. As subscriptions have reached critical mass they are changing the ways customers think about their relationships with vendors. Consider critical mass for a moment. It’s an apt term borrowed from atomic energy and it refers to a mass of fissile material of sufficient purity that chain reactions, in which one atom splits and activates another, can become self-sustaining. Critical mass doesn’t mean that all the atoms are radioactive at once, just that there are enough to make the reaction go on without added input. It’s like riding without training wheels. I think that’s where we are in the subscription economy. We’ve been successful enough at promoting the benefits that adoption is no longer in doubt. No, everyone is not a subscriber today and every company is not a subscription vendor either, but there’s critical mass — subscriptions are here to stay — and that’s why I think it’s time to introduce the idea of the subscription culture. All of the subscription culture’s impacts are not known yet but let me focus on one that is or can be. It’s the effect on customer attitudes and behaviors. At critical mass, customers, i.e. you and I, are more or less trained to expect certain things like the ability to change or adjust an order with ease, a vendor with a call center and website tuned to taking care of our needs without a great deal of hassle. Good or even great customer service. We have also become accustomed to sharing our ideas and experiences with other subscribers — good and bad. Most important, we really like the ability to pay as we go and to go, as in leave, when we please. You can do a quick mental comparison of the subscription culture’s values with a traditional transactional business model and while traditional relationships still have advantages and their loyal supporters, there is no arguing about the impact that subscriptions are having on business. That’s why I think we’re at critical mass for subscriptions and why the next step in the evolution of the subscription economy is the subscription culture. Even if a company has no interest in offering subscriptions and even if a customer prefers to make purchases as he or she has always made them, the culture is changing, some might say liberalizing (in the best sense of the term). Cultural norms are shifting in favor of the customer and subscriptions and customers are acting more and more like subscribers regardless of the model. Subscriptions may be the most important thing to affect CRM since, well, subscriptions. All this suggests that if you are a vendor, the subscription model is something you can’t ignore. Next week, in San Francisco, I’ll be attending Subscribed, the annual Zuora user group meeting. I am on two panels, moderating one of them and I expect to learn a lot. Zuora is riding high in the wake of a successful series E funding round that raised another $50 million for the company. If you are out there, please find me, I’d love to understand your perspective on subscriptions.